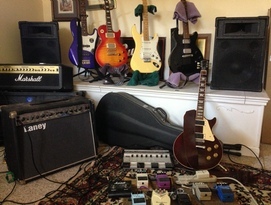 Give a serious guitar player enough time and resources and he’ll eventually end up with something I call “The Lineup.” The Lineup is his personal collection of guitars that document the search for the “right guitar.” My “right guitar” (“Jenny”) is in the foreground ~ resting on the floor. It is a wine colored 1992 Gibson Les Paul Standard. Don’t even bother to ask why it is not in a stand..... Lol This guitar actually has its own chair in my office. Swing by some time, and I’ll let you play it. Aikido Insomnia: Is it just me, or does Aikido keep you awake at night also? Your New Hakama Has Been Shipped. Announcements: Got a rank promotion, opening a new dojo, seminar, etc. 1. Aikido Insomnia: If you have not experienced it, you need to extend your ki finger a little more! It just so happens that following one of my first training sessions with Sensei John Carter at The Aikido Academy of Self Defense in Lexington, SC that my mother was hospitalized for a night with what was thought to be a heart issue. It turned out to be a not so serious matter, that was complicated by a reaction to a prescribed medicine. Long story short, I arrived at the hospital waiting room (and knowing I would need something to occupy my time while they addressed the issues with my mom’s medicine), I stopped by Books-A-Million and bought my first aikido book: “Aikido and the Dynamic Sphere” by Westbrook and Ratti. At one point my aunt who was in the waiting room with me, asked me what I was reading. When I told her it was a book about aikido, she wondered if aikido was a type of seafood. When I explained that it was a self defense martial art, she said, something like, “Oh! You mean Karate!” This was the first time the hair on the back of my neck stood up at the accusation that aikido and karate are somehow the same ~ and regrettably, not the last. 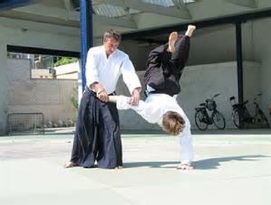 So, in trying to explain the difference between karate, which I knew nothing, and aikido, which I knew only slightly more than nothing, it occurred to me that a “demonstration” of aikido technique may be appropriate. I showed her an application of the only technique I had been taught: The Arm Bar. As instructed, she attacked (slowly) with a straight punch, and I entered (much too quickly), spun, and applied the lock, breaking her balance, but stopping well clear of the horizontal pin ~ mostly because she hit her head on the door that had previously been behind me. 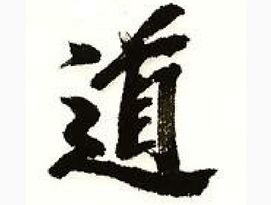 Over my time of aikido study, I’ve realized that very often, my best posed questions and discoveries about the art have occurred late into the night ~ as I wrote meticulous notes about the night’s training session, or outlined, by the numbers, my approach to all 50 of the Classical Techniques down in my Aikido Journal. Another Aside: Wait... You do NOT have an AIKIDO Journal? Well have I got just the deal for you! 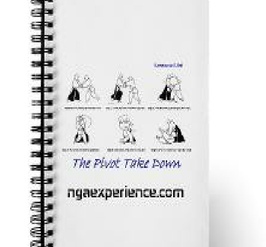 Get your very own Officially Licensed NGAxperience.com Aikido Journal by clicking here! See the picture to the left ~ which demonstrates a Pivot Take Down Application with Oscar Ratti’s iconic line sketch drawings. The cost of the journal is minimal, will greatly assist you in keeping your aikido thoughts organized, and all proceeds go to offset the costs associated with running the website. Be the first in your dojo to sport some official NGAExperience.com gear! Did I mention that we also sell Official NGAexperience.com t-shirts, hats, coffee mugs, tumblers, and glassware? Now ~ back to Aikido Insomnia: like I said, since that initial episode, I have lost sleep on Nihon Goshin Aikido countless times while working on nagexperience.com, t-shirt designs, the Inside Nihon Goshin Aikido newsletter, performing all 50 classical techniques and associated applications, working on all strikes, all blocks, all kicks, etc.. as well as reading through all the aikiweb forums, aikidojournal.com, etc. Sensei Carter can vouch for my uncanny ability to send a 2 page Facebook message at 3 am, probably better than anyone else I know. To his credit, he never seemed to lose his temper with my enthusiasm. Now if you suffer from Aikido Induced Insomnia like me, you will find that even when you do sleep, aikido has a way of working its way into your consciousness. I will occasionally dream about my aikido training and progress. In fact, the very prompt for this article was my dream two nights ago in which I defended myself from a gun attack, and somehow broke all of my attacker’s ribs in the process. That said, obviously if you get to the point that aikido becomes an addiction of a sort that is causing even mild dysfunction in your family dynamic, you need to back off a little bit in the interest of living a full and balanced life. In a recent correspondence with Sensei Jim Giorgi on my personal need to always balance aikido with my greater responsibilities, he quipped, “My philosophy is there is no life without aikido, but there is life outside of aikido.” Personally, I am not aware of truer words which have been spoken about the art we love and share. 2. Your New Hakama Has Been Shipped! “Your new hakama from Tozando Shop Ltd. has been shipped.” These were the exact words of the email I received on Tuesday. So how did I arrive at this point? Last month, I was at a veritable hakama convention attending an Aikikai aikido seminar in January at Aikido of Charlotte. Hakamas, and lots of them, what’s not to love????? 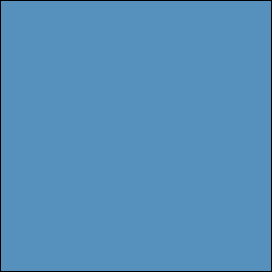 There were hakamas of indigo blue, black, and someone even wore a brown one. Some of the indigo colored hakamas were so faded that the color almost looked like a pair of old blue jeans. Nearly all of these hakamas were made of a durable cotton fabric that ~ like the judo gi top, make ukemi and suwari waza (applications when nage performs techniques from his knees) simply breezy. Now in my mind, there is a general truth that hakama ownership is very similar to guitar ownership. If you are already a guitar owner, you probably know about the phenomenon to which I’m referring. Namely, as soon as you purchase your first guitar, it seems you immediately start to look for your next guitar, and if you play long enough, you may eventually find the guitar you will play the rest of your life ~ but there are no guarantees. What results from this search is the inevitable “guitar lineup;” a collection of guitars leading up to the guitar you finally identify as “the one.” ~~~~ Consider my guitar line up on the left. Anyway, like guitars, I think hakamas operate in a somewhat similar fashion in that there is the hakama you start off with (the equivalent of the beginner guitar), and then there is the hakama that you eventually get. Now, as to my hakama line up ~ which is not all that fantastic ~ as there are only two, and the new one is somewhere over the Pacific Ocean in route from Japan to South Carolina. I currently don a Dragon International hakama that Sensei John Carter presented to me at my promotion to sho-dan. As it is my first hakama, it is very special to me, and it also matches the brand of my black belt. I have worn my hakama at every training session since my promotion to sho-dan. It is the way I roll. Safe to say, I love the belt and the hakama. 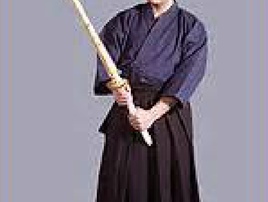 I’ll never get replace the belt, and I will always have the Dragon Hakama available to wear for training. As far as hakamas go, the Dragon International hakama is actually a kendo hakama which explains the picture of the guy holding the bamboo shinai in the picture to the left, but as far as a hakama goes, this one completely satisfies all the criteria for a first hakama of any style. It is relatively inexpensive (around $60), of sufficient quality, very forgiving when folding (a feature not to be overlooked for the new hakama wearer), somewhat durable, made of a lightweight 65/35 rayon/ polyester blend, etc. You can click on the picture, and it will take you to Dragon International’s website. I can not recommend a more appropriate first hakama. That said, if you were willing to spend a little more than twice as much money, I think you get more than 5 to 6 times the value with regard to durability and longevity ~ but then you really have to be able to fold it well ~ and proper folding of the hakama goes a long way in terms of maintaining its shape. After a few emails back and forth with Jonathan Weiner, Sensei and dojo-cho of Aikido of Charlotte [whom I met after his amazing Friends Seminar hosted at the Charlotte Dojo ~ see (“Hakama Line Up Picture”)], he recommended the Tozando Shop TAKE Aikido hakama based on my budgetary constraints (which I had specified around $150), and the fact that we use the black hakama in Nihon Goshin Aikido, so the blue hakama with the indigo dye was not an option. 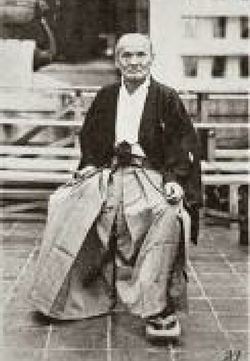 Here is the link to the Tozando Shop Aikido hakama I purchased. Now besides being very durable (thick, heavy cotton material), with the industrial strength straps, and all the bells and whistles you might expect from a high grade hakama, you also get a free embroidery option of kanji on the right hip. While some people will have their name spelled in kanji, I decided to select the "Do" kanji as my free embroidery option ~ since it completes the notion of our "Ai" and the "Ki" patches on our gi tops. After I made the order, I realized the inherent humor in the decision. Now when I'm training in an aikikai or Ueshiba influenced, or otherwise non-Nihon Goshin Aikido affiliated dojo, and someone I do not know comes up to me and asks, "I see the “Ai” patch, and I see the “Ki” patch, but where is the 'Do” patch?" I'll have a general area in which to direct their attention; which if you think about extending your ki finger in the direction of your hip, you might see why it might be worth a few laughs..... I'm looking forward to it. Now someone somewhere is offended by my sense of humor, but this is a shame. As a general rule, I try not to take myself too seriously, and I get along with almost everyone I ever meet as a result. We’ve only got one life to live... I recommend that you laugh frequently. One final point about the new hakama purchase: Tozando Shop is a Japanese company operating in Japan, so all of your purchases with them are made in Japanese yen. Since my wife is the family bookkeeper, all of our transactions are automatically forwarded to her cell phone for ease and convenience. Anyway, about a minute after I placed my hakama order, I hear very loud and distinct exclamation, “YOU HAVE GOT TO BE KIDDING ME!" bellowing up into my office from our bedroom down stairs. 3. What Is The Classical Technique? Now that’s a question with a thousand potential answers. In my mind it is an expressway to mastery of the core concepts of a technique, but consider this article from the Tomiki Aikido website ~ which incorporates a similar student training pedagogy for its students for another potential possibility. 4. Fort Lauderdale Florida Nihon Goshin Aikido Seminar ~ March 27-28 ~ You can make it! As you know we at NGAexperience.com are trying to keep everyone in the loop about things that are going on in the art of Nihon Goshin Aikido, and along those lines we have a new seminar announcement. Click here to see all of the information you need. Now this seminar will be held at Sensei Giorgi's new dojo in Fort Lauderdale, Florida on Friday March 27, and Saturday March 28. Please pass the word along ~ as the idea is to connect more than the just the Florida area students in our art. In a recent conversation with Sensei Giorgi, he mentioned that he has 20 aikidoka already registered for the seminar, so the word is getting out, and we want you to join in the fun. We're talking ROAD TRIP friends, and don’t make the trip by yourself. Bring a few of your training buddies in order to carpool, and share hotel expenses. Also, don’t rule out your Ueshiba influenced Aikido buddies. Bring them along for the ride. It would be good to open their minds to a Closed Fisted Round House attack, or a Jab/ Cross combo. Plus our style has a lot of concepts there style does not include, and the exposure to these concepts will make them a more well rounded aikidoka ~ just like exposure to their concepts help us. Of course if your ki finger is extended, you might decide to completely forego the carpool and BRING your spouse instead! Florida is after all a destination in and of itself, and I’m sure the beach has a spot for her towel while you toil away in the dojo. As to particulars: The seminar will be led by Sensei MacEwen, however Sensei Giorgi may have a segment of instruction also. The seminar cost is $100, and this includes ALL of the sessions on both days. Keep in mind that your $100 also covers ALL the lobster you can eat! Well.... maybe not "ALL" ~~~~ Actually, the $100 does not cover "ANY" of the lobster you may eat ~ so put a crisp Ben Franklin in your back pocket, pack a lunch, bring your sunscreen, and get ready to get your roll on! Do You Have News On Seminars, Dojo Expansions, Relocations, Grand Openings, Promotions, and/or Other Information You Want To Share? Send us the information on it and we’ll post it here for you. Fortunately for my poor aunt, my demo looked nothing like the Arm Bar Application above. The “Do” kanji is assuming a place of honor on my new hakama. My feeble attempt to explain why we teach the Classical Technique first and the Applications second. Namely to get a relatively undistracted understanding of the primary principle or concept of a technique before adding other variables ~ like uke resistance, a striking attack, etc. By way of disclaimer, this was a completely impromptu video shoot. I offer it humbly as a model, and will gladly replace it with someone’s video that explains it better. Further, as the video demonstrates, it may be unwise to attempt a First Wrist Technique Application from a Round house Punch. This is a picture of the “hakama convention” in which I speak. Also note the number of NGA Aikidoka ~~~ 5 in total. Cross Training ~ Look into it. 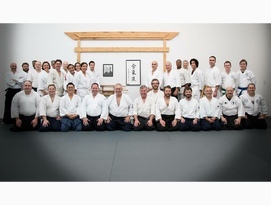 I am on the front row (far right) sitting next to Sensei Durand. Other NGA aikidoka in the photo are Tim McNeal, Brandon Moyer, Billy Wright, & Will Robinson.